Lance unfortunately incurred a major injury in which he tore his pectoral muscle. 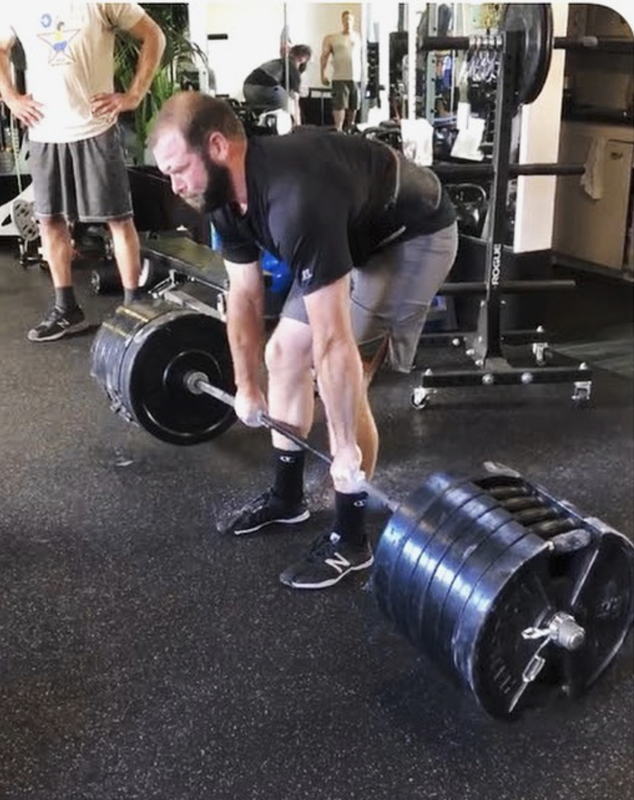 After he recovered from the surgery he began rehab at Strength Happens. We worked diligently to regain mobility and strength for many months. From there he returned to full activity. Year by year continually making gains to being fitter and stronger then he has ever been. Strength Happened in recovery, in hard work, continued discipline for Lance our strongest client. I've been doing the SH program for 5 years. I apply SH every day in my job working with my hands as a contractor building. Outside of the gym activities I enjoy doing are grappling, building anything, and recently started riding mountain bike and dirt bike. My healthy go to snack would have to be almonds.